Magazine at Valence Street, New Orleans, LA. 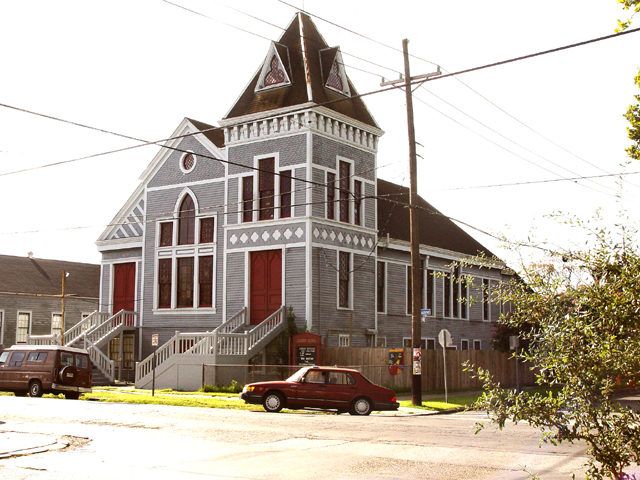 VSBC was originally a mission church of First Baptist Church in New Orleans. The SBC initiated the Domestic Mission Board with the goal, among others, of evangelizing New Orleans. 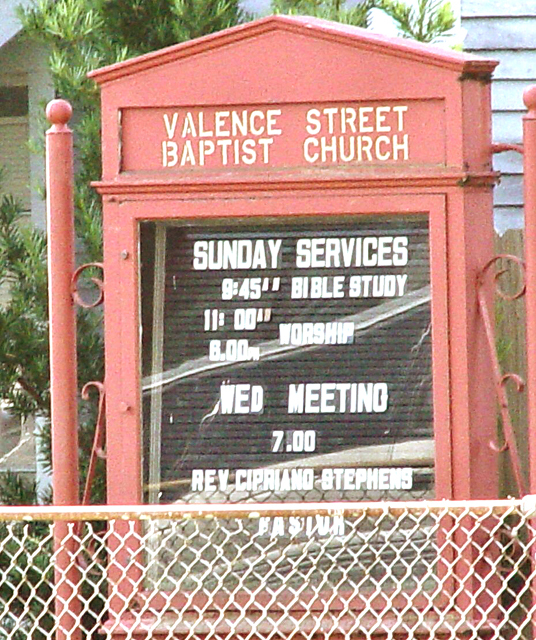 VSBC began as part of that strategy. While on staff, older members had many stories. The building, on the corner of Magazine & Valence, originally faced Valence Street, thus the name. When more education space was needed, the building was raised, turned to face Magazine, and what is now the ground floor was built. The original pipe organ, as the story was told, was donated by Dr. Tichenor. Yes, the antiseptic Dr. Tichenor. A fire destroyed that organ but, at the time we were there, the fire damaged piano was still in use, along with a Hammond organ. The Hammond may remain today.